Like it or not, the headphone brands from big-name artists like Dr Dre, 50 Cent and Ludacris, have opened up a new market for quality sound in headphones and earbuds. However while style and substance are there in varying quantities and they’re great for everyday use or while in a relaxed state, often the bulky designs aren’t perfect for working out with. Even the best earbuds will occasionally fall out, or they’ll get sweaty and slide around; what’s the solution? 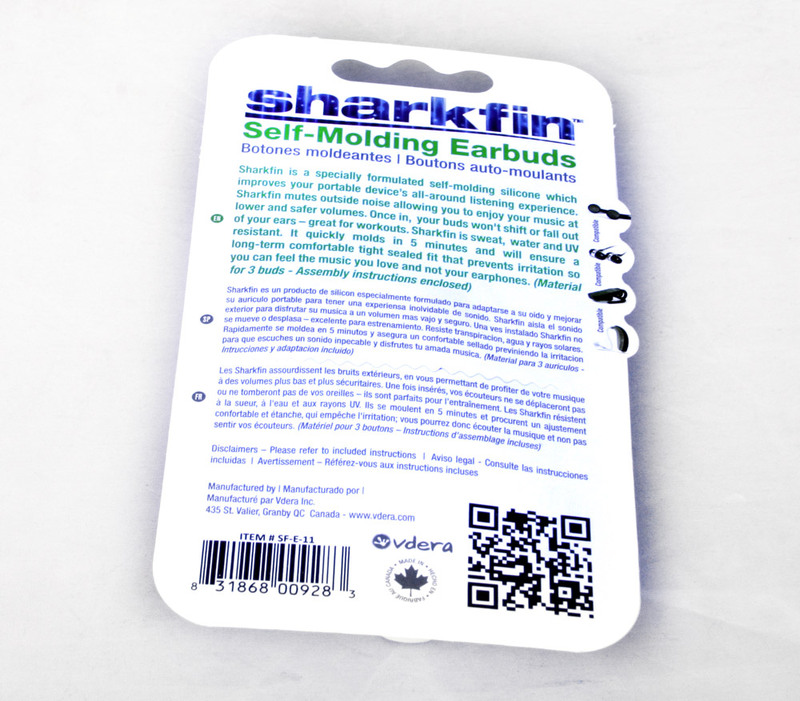 Apparently it’s this sort of thing: Sharkfin Self-molding Ear Buds. They fit around the earphones and mold to the shape of your ear, holding them in place while resisting sweat and movement. Let’s put these claims to the test. You can’t expect the greatest packaging in the world for a £5 product and these are no exception. 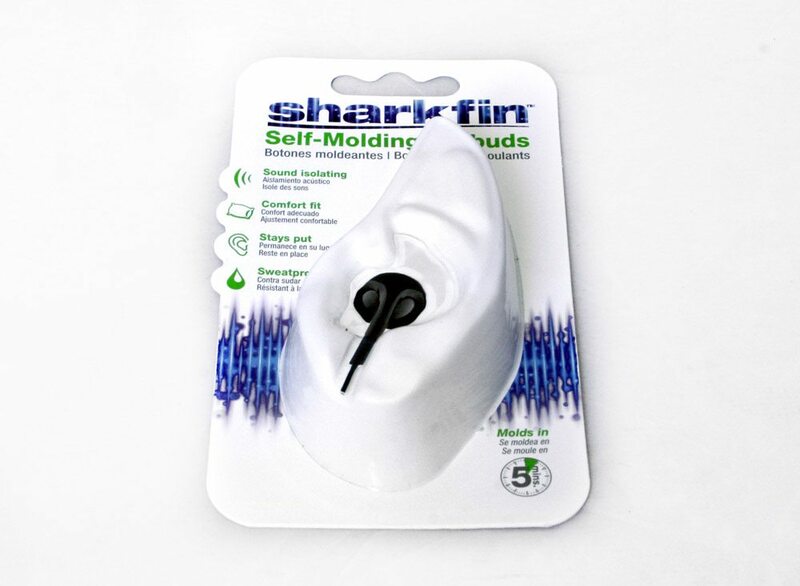 There’s a simple cardboard blister with a vacuum formed ear-like shape on the front that stores the earbud molding material. There’s a few specs on the back, including letting you know that there’s enough material included to make three ear buds. Two for use and one for when you mess it up the first time – as I ended up doing.